Solar panels on a tractor’s air deflector supply power to batteries, keeping them fully charged and healthy. 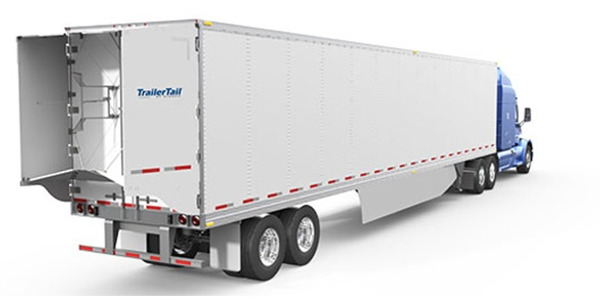 Trailers have more room for panel mounting, and get similar benefits. 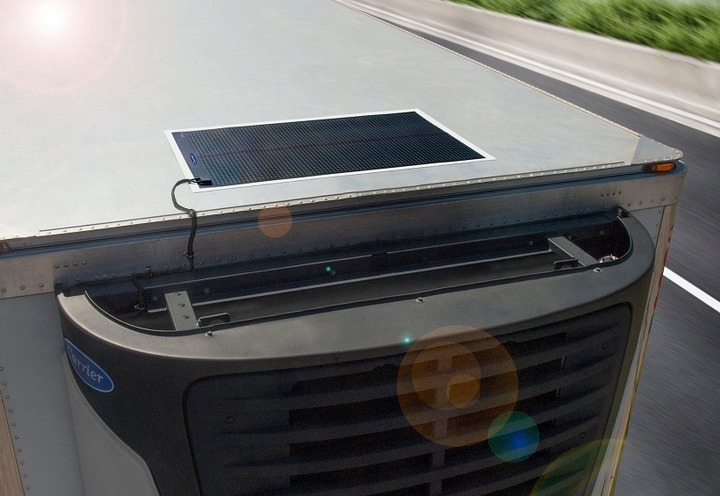 Solar panels are sending power into electrical grids and supplying juice directly to buildings, but do they make sense for commercial vehicles? 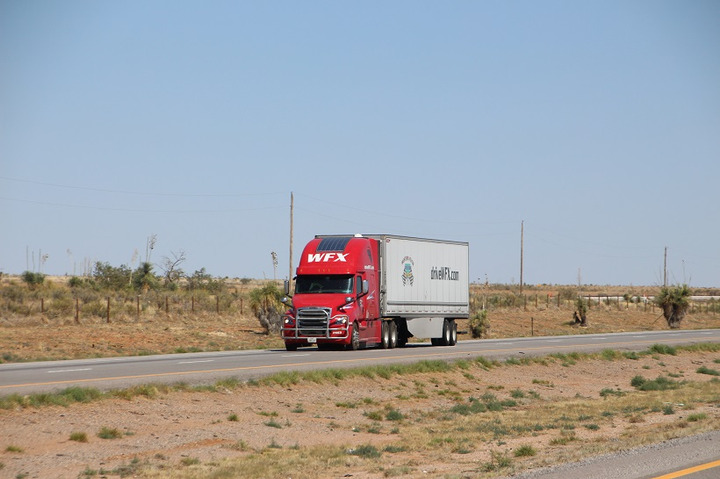 Yes, says the North American Council for Freight Efficiency in its latest Confidence Report, “Solar for Tractors and Trailers,” issued June 28. Solar panels’ cost has come down and efficiency has increased to where they can pay for themselves in roughly three years, said NACFE’s executive director, Mike Roeth, and two researchers, Jessie Lund, of the Rocky Mountain Institute, and Kevin Otto, a retired Cummins electronics engineer. They briefed reporters during a call-in press conference upon issuance of the report. Panels are now thin and flexible enough to mount on curved surfaces, so can be affixed to roof air deflectors and even on hoods of tractors. 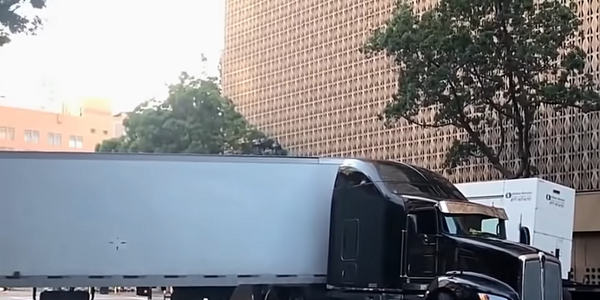 There’s much more room on van and reefer trailers to place panels, and they are used primarily to charge batteries in reefer units and for liftgates and pallet jacks. 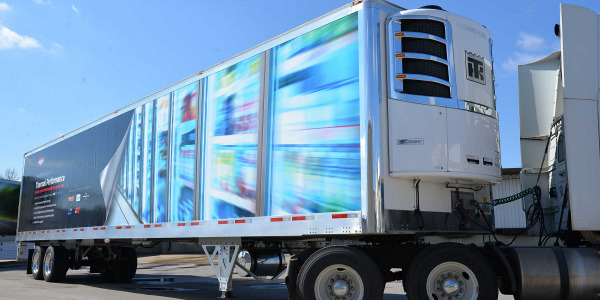 Reefer unit makers offer panels that help keep batteries charged so engines can start every time they’re needed to run refrigeration equipment. The job of solar panels on trailers differs greatly according to application, Otto said. 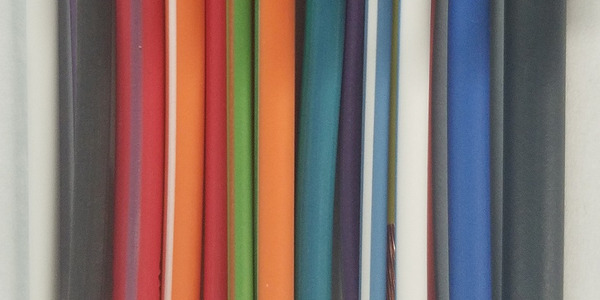 So the number and output of a panel complement needs to be carefully planned. Cost of a 300-watt installation, including panels and control apparatus, is about $2,000, Otto said. The recent Trump-imposed tariffs on foreign metals and products might add only $40 to $50 to that, said Lund, the other researcher. A 100-watt panel ideally will produce 7 to 8 amperes, but various real-life conditions will often reduce that by 30%, he added. So that panel might make 1 amp at dawn and 5 to 6 amps at noon. Panel adjacent to this Carrier reefer unit keeps its battery charged and ready to start the diesel when needed. 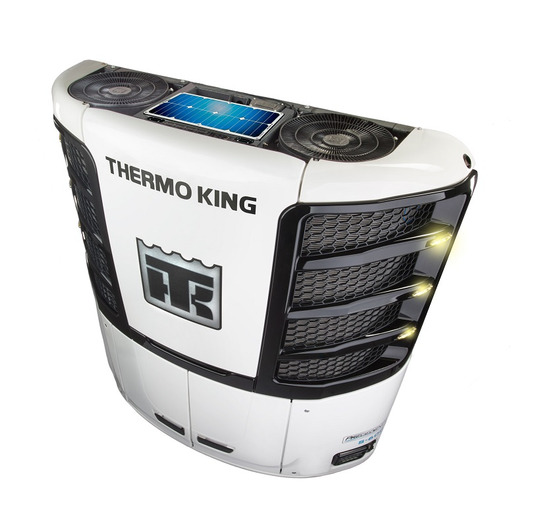 Solar power can run electric HVAC systems in sleepers, thus reducing engine idling during overnight breaks. But they don’t save a lot of fuel, Roeth said. “The minimum savings we see with these panels in most applications, and in particular with tractors, is battery health,” Roeth said. “Panels can extend the life of the battery and the cost of replacement, as well as reduce service calls” on the road. NACFE’s report includes a payback calculator for tractors and a “confidence matrix” for tractors and trailers that users can employ to gauge the financial feasibility of installations. The report is available at www.nacfe.org/technology/solar-panels-2/?cf_id=1033. Journalist since 1965, truck writer and editor since 1978. 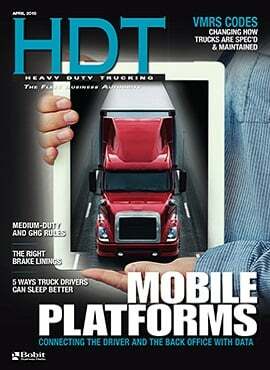 CDL-qualified; conducts road tests on new heavy-, medium- and light-duty tractors and trucks. 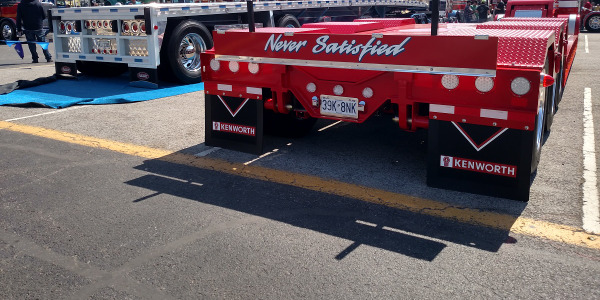 Specializes in vocational trucks and trailers of all types. 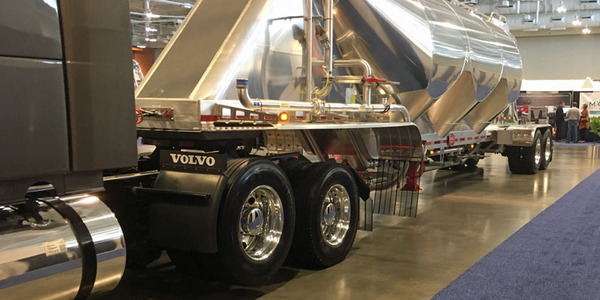 Though the emphasis is on power units at the annual truck beauty show, Senior Contributing Editor Tom Berg also found some handsome trailers. 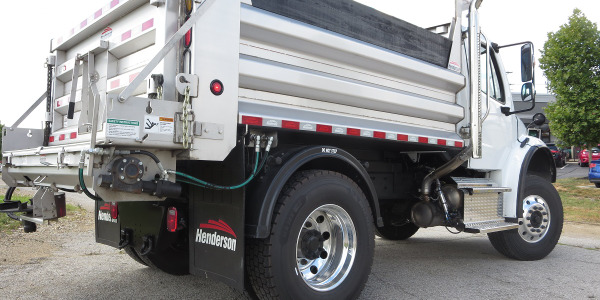 A Stemco Trailer Tail can save several percent in fuel at highway speeds, but it does no good if it’s not deployed, says Senior Contributing Editor Tom Berg. 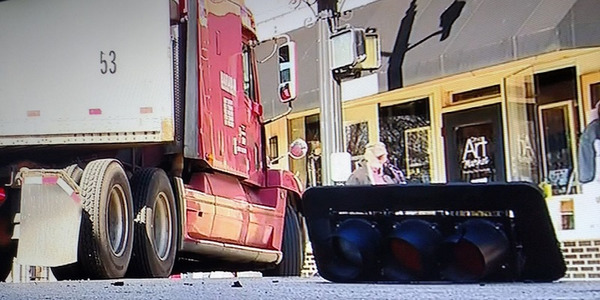 A news crew happens to capture the aftermath of a truck taking down a traffic light, highlighting the importance of being aware of your surroundings. Senior Contributing Editor Tom Berg finds it interesting. Senior Contributing Editor Tom Berg thinks he could've made this crash scene's technical details — an under-ride crash — more realistic. A ‘plastic’ flatbed in the 1980s and FRP plywood vans even earlier featured non-metallic substances for trailers, recalls Senior Contributing Editor Tom Berg. 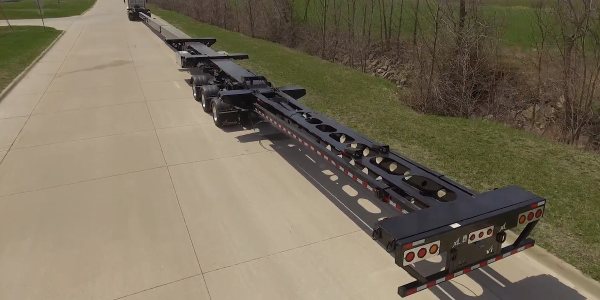 As wind turbine grow in size, so must the trailers that haul their components. XL Specialized's product is one way, writes Senior Contributing Editor Tom Berg. It’s been a snowy winter so far in the Midwest. 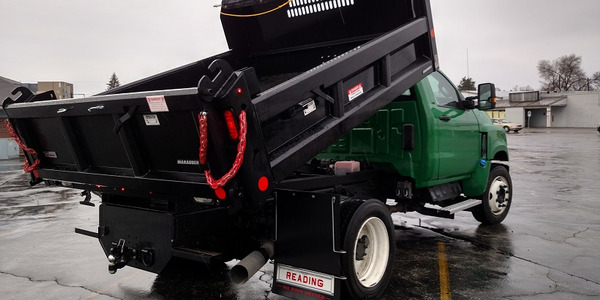 For streets and highways, snow means salt and that often means trucks with stainless steel bodies to carry and spread it. Imported steel costs more, whether used in dump trucks or Senior Contributing Editor Tom Berg's new garage lift. Future multi-voltage electrical systems have engineers are working on new standards for wiring, reports Senior Contributing Editor Tom Berg. 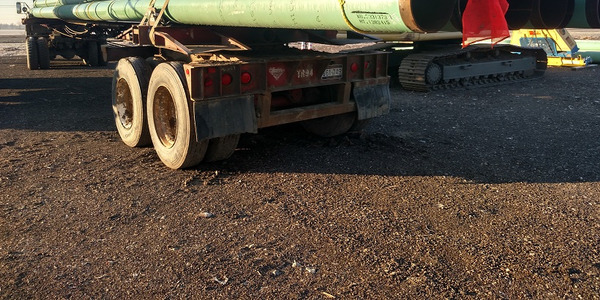 A pipeline contractor in Ohio operates a specialty trailer that is exempt from rear impact guard regulations. 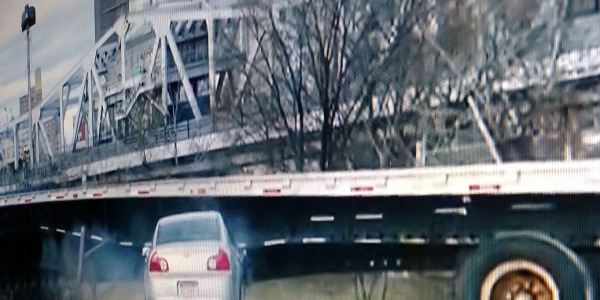 Senior Contributing Editor Tom Berg found them parked off a highway. 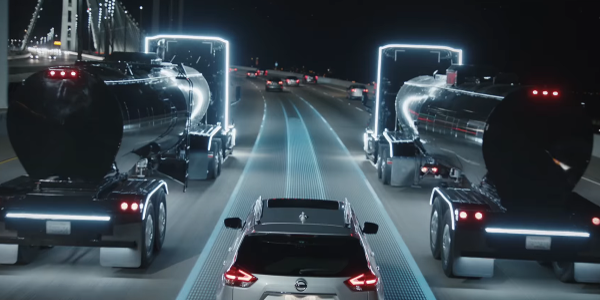 Whether here or in Europe, it takes skill and experience to get a trailer where it needs to be, says Senior Contributing Editor Tom Berg. 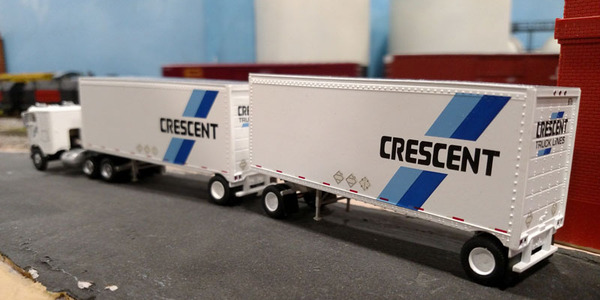 Scale model trucks are often part of model railroad layouts, as Senior Contributing Editor recently found in his old hometown. An analysis of four tanker configurations showed drag reduction of more than 2%. But Senior Contributing Editor Tom Berg suggests another way to cut drag – eliminating tanker fenders, which act like sails and pull backwards on the trailer. 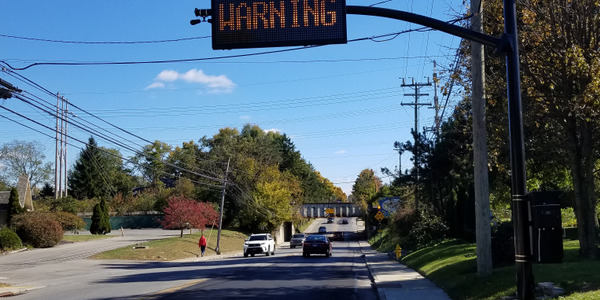 Laser beams should spot too-tall trucks and a flashing message will alert errant drivers, reports Senior Contributing Editor Tom Berg.